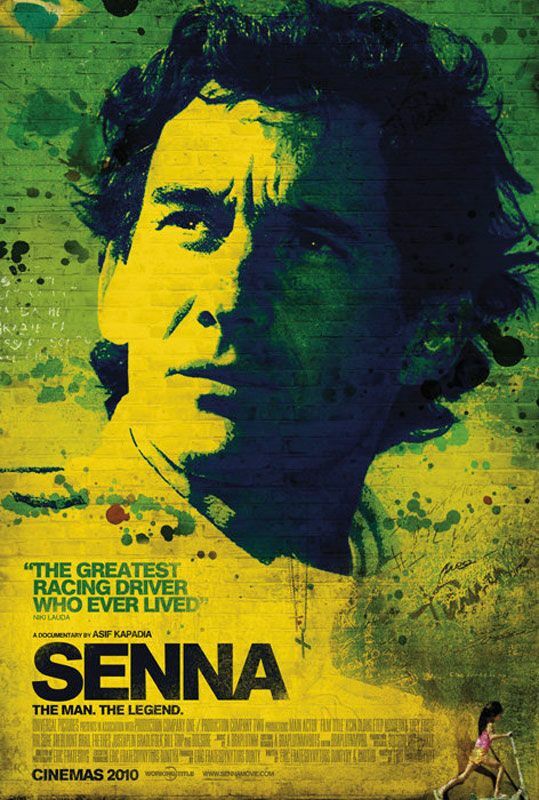 Fantastic documentary chronicles the life and death of Formula one legend Ayrton Senna, from his days as a go-kart racer, to his debut as a professional driver, his rivalry with Alain Prost (that includes him winning the title three times), and ultimately his tragic death on May 1st 1994. But that’s not all. Beneath the helmet, Senna was a fascinating human being as well: a mix of religious faith, innocence, global fame, and reckless determination. We’re not so much hearing about it, as we used to in the past. Here, we’re seeing it happen in front of our eyes. Director Asif Kapadia tells his story entirely out of archival footage, of Senna on and off the track, getting ready to race, relaxing back home and being interviewed by the press. It could have been easy for Kapadia to focus only on the F1 action, but he doesn’t. Instead, he gives those who never knew Senna a chance to know him and his commitment to this somewhat dangerous sport. As he so famously puts it: “When you are fitted in a racing car and you race to win, second or third place is not enough”. “He never wanted to beat me,” says Prost, at one point. “He wanted to humiliate me”. There’s no way this fascinating documentary could fail to satisfy racing fans, especially those who remember his glory days, or the day he was tragically killed on that famous “Imola” circuit in Italy. If I had no idea who he was prior to watching this film, the ending would have brought tears to my eyes. Either way, Senna’s life remains a remarkable one, and this film is a perfect tribute to one of the most influential drivers of all time. I loved this movie. The archive footage are priceless !!! Loved how humble he is when he was asked about his most fearful opponent… and he mentioned this guy who did karting with him! Wonderful movie. I even watched it twice in a row. The archive footage couldnt be better. Such a humble person. Such an icon!